Abstract: Making the right decisions for food supply chain is extremely important towards achieving sustainability in agricultural businesses. This paper explores that knowledge sharing to support food supply chain decisions to achieve lean performance i.e. to reduce/eliminate non-value-adding activities, or “waste” in lean term. The focus of the paper is on defining new knowledge networks and mobilisation approaches to address the network and community nature of current supply chains. Based on critical analysis of the state-of-the-art in the topic area, a knowledge network and mobilisation framework for lean supply chain management has been developed. The framework has then been evaluated using a case study from the food supply chain. Analytic Hierarchy Process AHP has been used to incorporate expert’s view on the defined knowledge networks and mobilisation approaches with respect to their contribution to achieving various lean performance objectives. The results from the work have a number of implications for current knowledge management and supply chain management in theory and in practice. Abstract: Agri-food sector performance strongly impacts global economy, which means that developing optimisation models to support the decision-making process in agri-food supply chains (AFSC) is necessary. These models should contemplate AFSC’s inherent characteristics and sources of uncertainty to provide applicable and accurate solutions. To the best of our knowledge, there are no conceptual frameworks available to design AFSC through mathematical programming modelling while considering their inherent characteristics and sources of uncertainty, nor any there literature reviews that address such characteristics and uncertainty sources in existing AFSC design models. This paper aims to fill these gaps in the literature by proposing such a conceptual framework and state of the art. The framework can be used as a guide tool for both developing and analysing models based on mathematical programming to design AFSC. The implementation of the framework into the state of the art validates its. Finally, some literature gaps and future research lines were identified. Abstract: The paper deals with the problem of clustering of intuitionistic fuzzy data. A modification of a heuristic algorithm of possibilistic clustering for intuitionistic fuzzy data that account for the information coming from the labeled objects is proposed. The paper describes the basic ideas of the method and gives the plan of the partially supervised version of a direct possibilistic clustering algorithm. Illustrative examples of application of the method to two intuitionistic fuzzy data sets are provided. Preliminary conclusions are formulated and some perspectives outlined, notably for the analysis of agricultural value chain. Cite as: ŃSKI, O., Kacprzyk, J., Shyrai, S., Szmidt, E., Viattchenin, D. A., & HORMAZABAL, J. H. (2018). A Heuristic Algorithm of Possibilistic Clustering with Partial Supervision for Classification of the Intuitionistic Fuzzy Data. Journal of Multiple-Valued Logic & Soft Computing, 31(4). Purpose: The paper proposes a decision support system for selecting logistics providers based on the quality function deployment (QFD) and the technique for order preference by the similarity to ideal solution (TOPSIS) for agricultural supply chain in France. The research provides a platform for group decision making to facilitate decision process and check the consistency of the outcomes. Methodology: The proposed model looks at the decision problem from two points of view considering both technical and customer perspectives. The main customer criteria are confidence in a safe and durable product, emission of pollutants and hazardous materials, social responsibility, etc. The main technical factors are financial stability, quality, delivery condition, services, etc. based on the literature review. The second stage in the adopted methodology is the combination of quality function deployment and the technique for order preference by similarity to ideal solution to effectively analyze the decision problem. In final section we structure a group decision system called GRoUp System (GRUS) which has been developed by Institut de Recherche en Informatique de Toulouse (IRIT) in the Toulouse University. Results: This paper designs a group decision making system to interface decision makers and customer values in order to aid agricultural partners and investors in the selection of third party logistic providers. Moreover, we have figured out a decision support system under fuzzy linguistic variables is able to assist agricultural parties in uncertain situations. This integrated and efficient decision support system enhances quality and reliability of the decision making. Novelty/Originality: The novelty of this paper is reflected by several items. The integration of group multi-criteria decision tools enables decision makers to obtain a comprehensive understanding of customer needs and technical requirements of the logistic process. 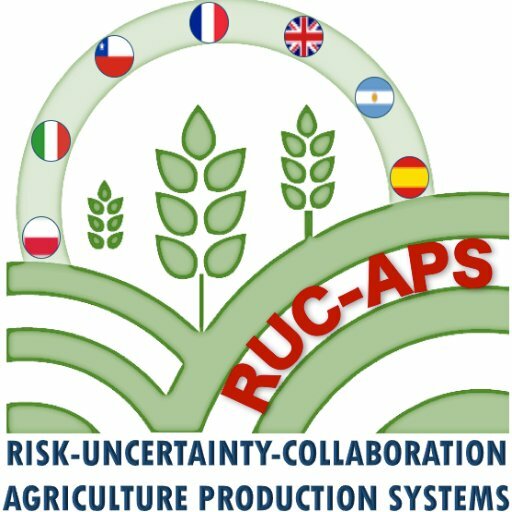 In addition, this investigation is carried out under a European commission project called Risk and Uncertain Conditions for Agriculture Production Systems (RUC-APS) which models risk reduction and elimination from the agricultural supply chain. Ultimately, we have implemented the decision support tool to select the best logistic provider among France logistics and transportation companies.